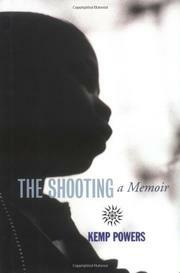 From award-winning journalist Powers, a debut memoir considering a youth lost to a firearms accident. Misadventures involving “loaded guns, unsupervised, rambunctious teenage boys” still occur today, yet as related here his story is redolent of chaotic mid-1980s Brooklyn, scene of the author’s childhood. Powers’s hard-working mother, a nurse and Army reservist, kept several handguns at home, not realizing that her son liked taking them out to impress his friends. One day in 1988, unaware that her .38 revolver was loaded, 14-year-old Kemp shot his best friend Henry in the face, killing him. “Beyond all reason,” Henry’s parents forgave him and declined to press charges; despite the district attorney’s anger, he was sentenced to only a year of counseling. Understandably, the incident has haunted Powers ever since. But The Shooting is also a subdued evocation of a vanished Brooklyn, post-disco but pre-gentrification, a place of temptations and urban dangers epitomized by street gangs and vigilante Bernie Goetz. The author and his peers were acquainted with vandalism and random assaults, but they also enjoyed the street culture of slot cars, comic books, early rap, video games, and break dancing. Enrolled in a “magnet school” gifted program, Powers enjoyed friendships across racial boundaries, but tensions increased following a black youth’s death following a mob assault in Queens. He recalls “Howard Beach” as the hostile rallying cry of Brooklyn’s Italian-Americans against the perceived invasion of blacks and Puerto Ricans, and his youthful self perfectly perceived the uneasy lure of weapons: “A gun alleviated the need to roll ten or twenty people deep when venturing out at night.” Powers became an aggressive, success-obsessed journalist with a self-destructive streak, which he now recognizes as a labyrinthine atonement for his crime. “Even at fourteen years old, Henry . . . was walking a righteous path. For a while, at least, so was I.” He concludes by noting that had the shooting occurred today he’d be handed a mandatory minimum sentence. Sparely written, often casual, but powerful.